All-in-one bookshelf HiFi monitor speaker featuring an amplifier equipped with network functionality. It lets you play music from a wide range of sources without all the bulky hardware that comes with a regular hi-fi setup. These space-saving speakers support AirPlay, DLNA and Bluetooth streaming, as well as Yamaha’s MusicCast multiroom platform. And with a selection of sockets on the rear, Yamaha shows your non-wireless devices some love too. The two-way NX-N500 is equipped with a 1-inch dome tweeter (which extends to a hi-res friendly 40kHz) and a 5-inch woofer that uses the same Advanced PMD diaphragm as Yamaha’s high-end Soavo speaker. A high-grade USB DAC supports DSD 5.6MHz native resolution and PCM up to 384kHz/32-bit for hi-res playback. It’s joined by an ESS 32-bit DAC – that’s the ES9010K2M, DAC spotters – which also handles 384kHz/32-bit and DSD 5.6MHz. It’s powered by a “discrete configuration” analogue amplifier. The bi-amp system powers each driver individually, sending 45W to each woofer and 25W to each tweeter. The NX-N500 boasts built-in Wi-Fi with DLNA and AirPlay streaming. The Bluetooth connection not only lets you play music from portable devices but also enables you to send audio to wireless headphones for private listening. Multiroom functionality is provided by Yamaha’s MusicCast app, which lets you send tracks to other MusicCast speakers round the house. It provides access to Spotify, Napster, Juke and internet radio, but sadly it lacks some of the main streaming services such as Tidal, Qobuz and Deezer. Via DLNA, you can play WAV, AIFF and FLAC up to 192kHz/24-bit, or ALAC up to 96/24. The optical input accepts signals up to 192kHz/24-bit. 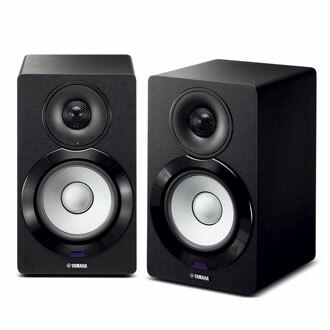 The Yamaha NX-N500 all-in-one powered network loudspeaker will be a great fit for most music enthusiasts. We recommend the Yamaha NX-N500 speakers to anyone looking for a high value, good performing, feature rich, all-in-one solution from a company that has been around a long time and will likely be around for some time to come. A great Christmas gift –SOLD SOLD SOLD!!!! The Yamaha NX-N500 is part of our festive promotions this December, it was R12 999, now selling for R8 999 – while stocks last.